Southern Carburetters have had a long association with the iconic Austin Healey marque which dates back to 1974 when we sold car and carburettor parts from our original premises off The Broadway, Wimbledon. To this day, we continue to sell the parts necessary to keep your Austin Healey running smoothly. 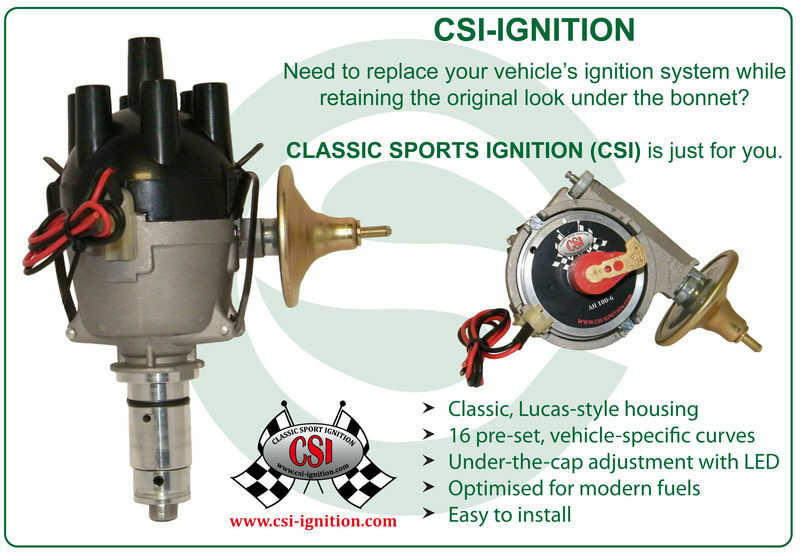 The Classic Sport Ignition (CSI) distributor has been designed as a direct replacement for the mechanical distributor for the Austin Healey. The contact points, mechanical advance and vacuum mechanism have been replaced by modern electronics that are fitted into an authentic-looking housing. This ensures that your Austin Healey retains its original appearance in the engine bay - the difference is only visible when the distributor cap is removed.The CSI unit is vehicle-specific to ensure optimum performance. 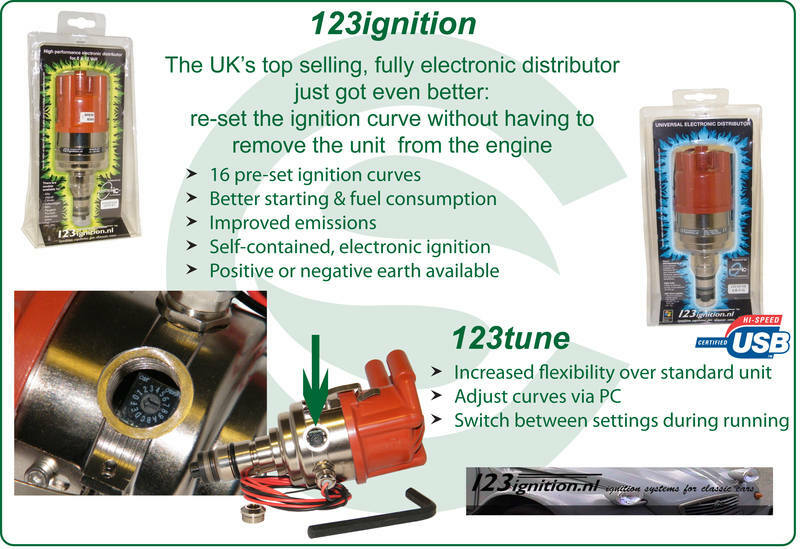 The ignition in a classic car is often the cause of many problems and breakdowns. After many years, the mechanical parts are worn, and just replacing the points does not make up for the wear in the advance mechanism, shaft & bearings.